Various countries across the world are run according to their specified system of polity. While some countries adhere to a full presidential system, there are some others who comply with the federal system of governance. The federal system of governance is ideally the system where power is divided between a strong national level government and smaller local level governments. Some of the countries which practice the federal system of governance include India, USA, Germany, Canada, and Brazil. Education has always been a priority for any government including the government practicing Federal system of governance. Students, at times, require taking a loan to support such studies. Though there are various private parties including banks which offer loans to pursue such studies, the demand for federal student loans has always been important. 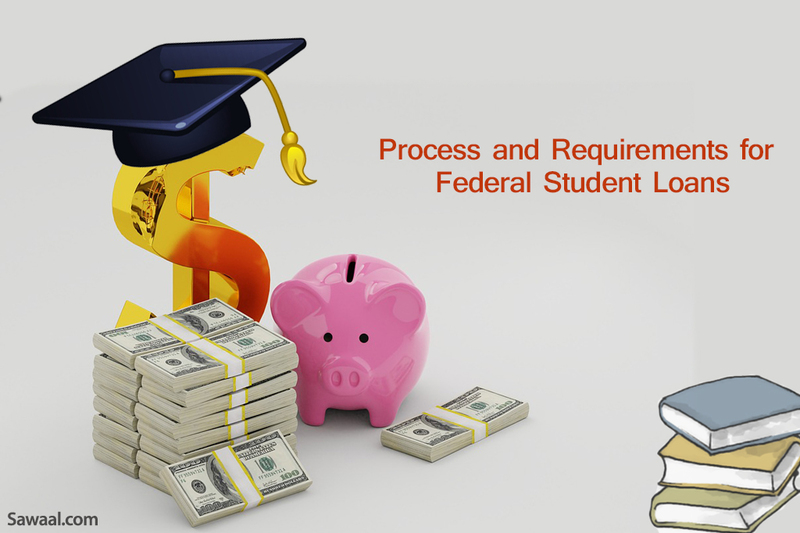 Therefore, it is important that the students understand the process and requirements for federal student loans clearly prior to taking a decision. What is Federal Student Loan? Federal Aid which include grants (free money which do not have to be repaid), work-study funds (gives the students an opportunity to earn money to help pay his/her educational expenses), and federal student loans. State Aid which include grants, scholarships, work-study funds, state loans, and tuition assistance. Institutional (institution which is offering the course of study) Aid which includes scholarships, grants, and work-study programs. Private Aid coming from any private party such as banks, corporations, and financial organization in the form of loans and scholarships. While financial aids and federal student loans have different terms of conditions and requirements for various countries which further changes from time to time, but the overall system of loan and aid remains almost similar. Such as Federal Student Loan, a scheme practiced widely in the United States of America, are student loans offered by the federal government of the country. Such loans offered by the federal government, also known as federal student loans, usually enjoy lower interest rates and flexible repayment options to the borrowers as compared to the borrowers of other banks and private institutions. That is the reason why Federal Student Loans are in high demand. Be a citizen or eligible non citizen of the United States. Have a high school diploma or a General Education Development (GED) certificate, or have completed home schooling. Be enrolled in an eligible program (eligible for the loan) as a regular student seeking a degree or certificate. Maintain satisfactory academic progress in the course of study. Not owe a refund on a federal student grant or be in default on a federal student loan. Not have a conviction for the possession or sale of illegal drugs for an offense that occurred while the student was receiving federal student aid (such as grants, work-study, or loans). In case of such a conviction, the student must complete the Student Aid Eligibility Worksheet to determine if the student is eligible for aid or partially eligible for aid. Apart from the Federal Student Loans, there are some financial aids such as Federal Pell Grant or subsidized loans where the government pays the interest while the student is in college. Such grants require the students to have a financial need. Moreover once the student has a bachelor’s degree or a first professional degree, he or she is generally not eligible for Pell or Federal Supplemental Educational Opportunity Grants (FSEOG). Further information about federal aid and loans can be obtained from the institution. The students need to complete and submit a Free Application for Federal Student Aid (FAFSA®) form. Based on the results of the FAFSA form, the college or career school, where the student is applying, would send the student a financial aid offer, which may include federal student loans. The school will inform the students how to accept all or a part of the loan. Sign a Master Promissory Note, agreeing to the terms of the loan. The students need to contact the financial aid office of the school he/she is planning to attend for further details regarding the process and requirements for federal student loans at the institute or school.